Hello everyone! 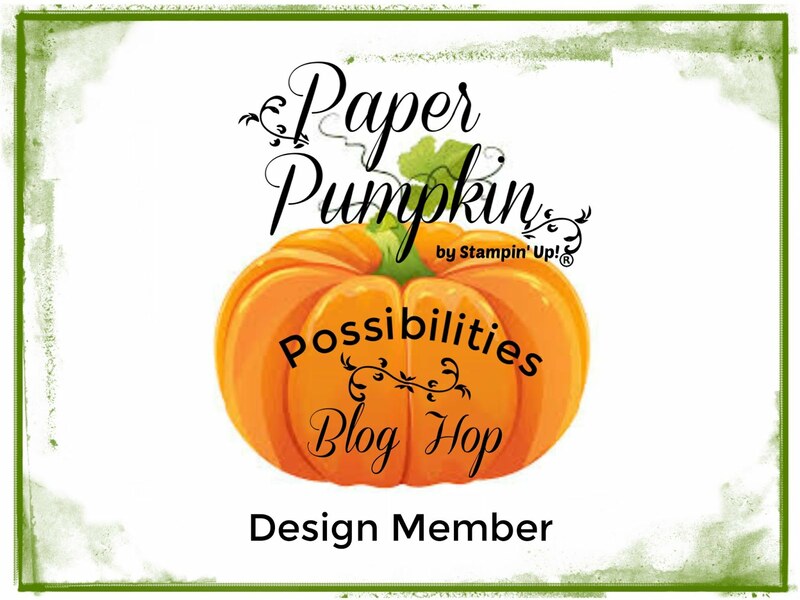 I'm participating in my FIRST Paper Pumpkin Possibilities Blog Hop this evening! 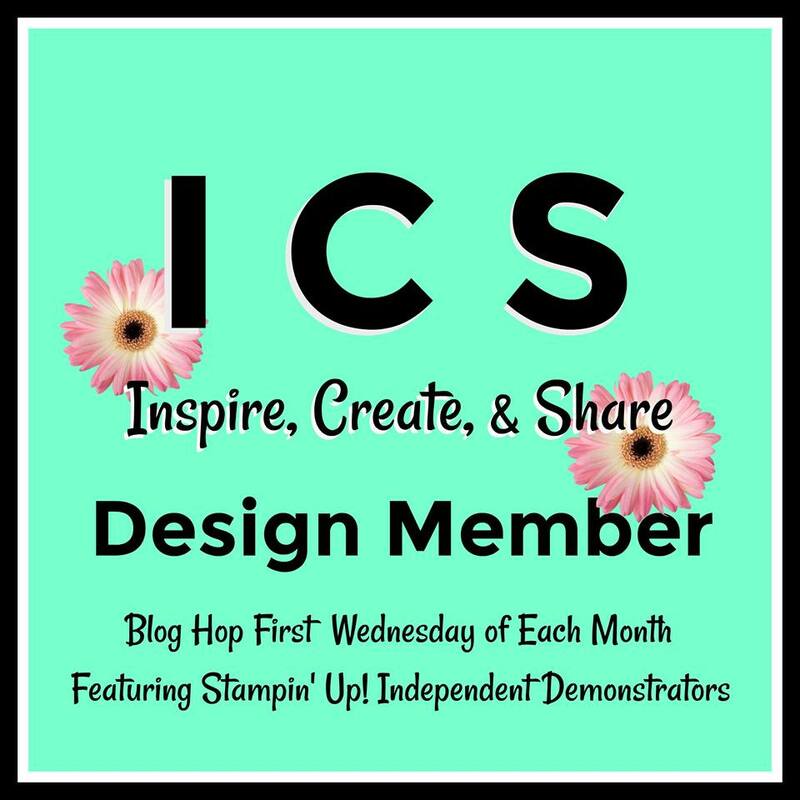 I hope you'll join the fun...follow along and find LOTS of INSPIRATION! You'll be seeing some great ideas on different ways of using your March Paper Pumpkin kits! For my project I used one of the insides of the cards from the kit and cut in in half. That way you can make two cards from one. After cutting it in half, I cut it down to 3 3/4" X 5" and layered it onto a 3 7/8" X 4 7/8" piece of Bermuda Bay carcstock. Before attaching it to my card base (which is part of the kit), I added Pearl Basic Jewels to each layer of the cake. 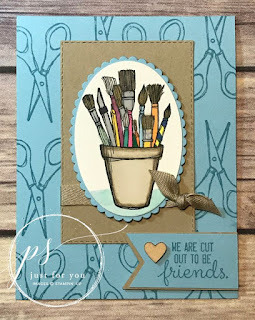 I used one of the tags in the kit to stamp HAPPY, HAPPY, HAPPY (with the included stamp set) in Bermuda Bay ink. I cut the edge straight and added some more pearls. The "7" is attached with Mini Dimensionals and I added Mini Striped Bermuda Bay Ribbon, Whisper White Polka Dot Tulle, Linen Thread and Silver Baker's Twine at the top! The candles are part of the kit as well...you can see that I added seven candles...to match my "7"...because someone special is turning SEVEN!! 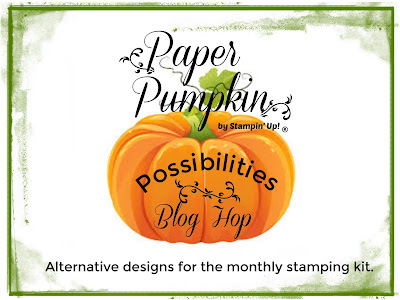 I'm excited for you to see all of the other ALTERNATIVE Paper Pumpkin ideas. 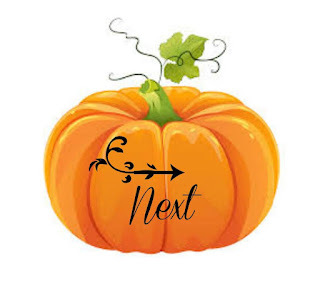 You can HOP along by clicking on the pumpkin below! Next up is Deb Naylor at The Flying Stamper!! 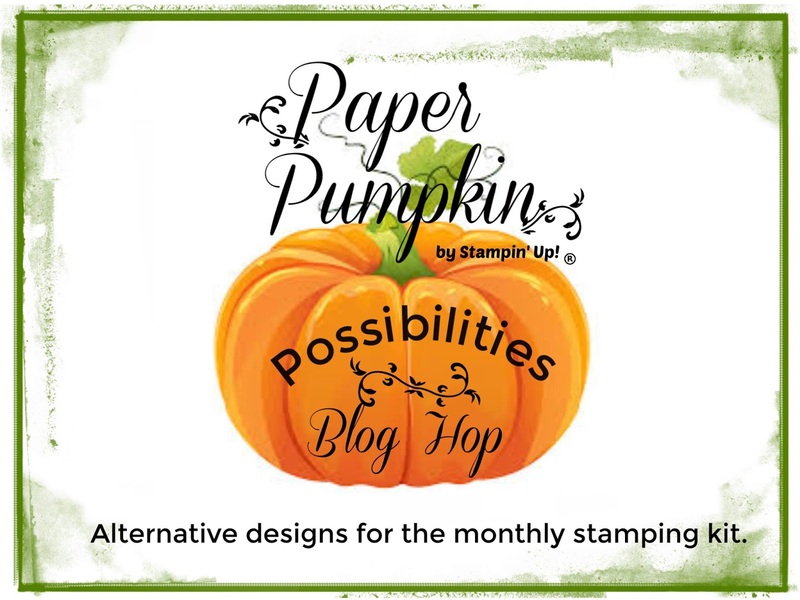 Have you already subscribed to Paper Pumpkin? 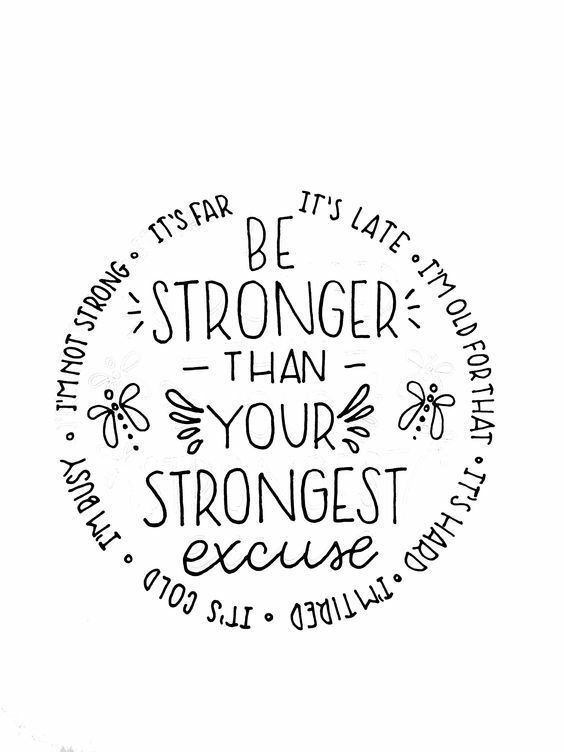 If not, now is a great time to join the fun! 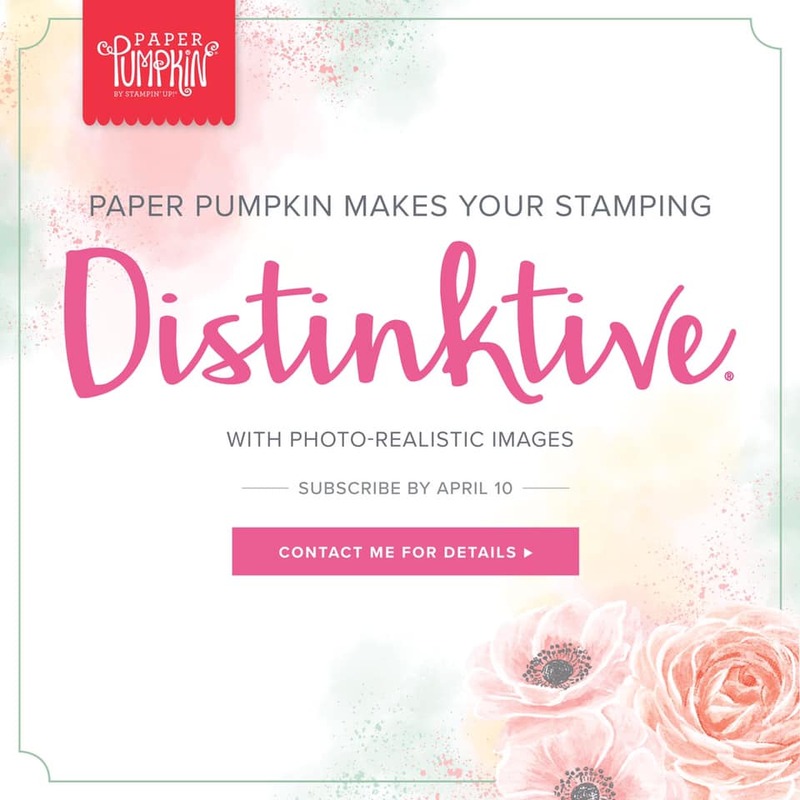 The April kit's focus is distinktive stamp(s). The stamps made with this distinktive process apply the ink at different opacities giving the finished image more depth. There’s nothing tricky about how to apply the ink: just ink the surface lightly for a perfect photographic finish. 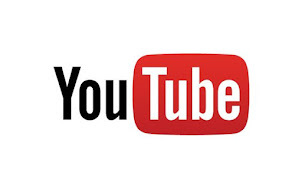 Be sure you subscribe by April 10th. 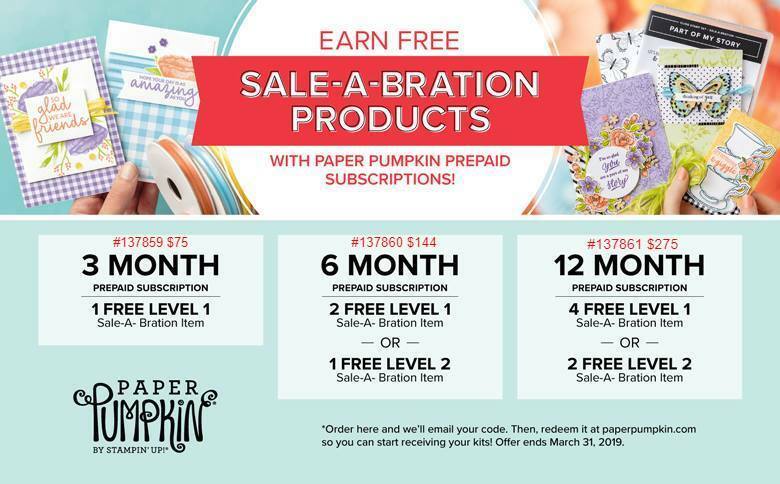 With Sale-A-Bration ending 3/31/2019, this is a great time to purchase a prepaid subscription and earn free Sale-A-Bration products! and letting me SHARE WHAT I LOVE TO DO...WITH YOU! REMEMBER...use this months hostess code RPEWHA6S and place a minimum order of $50 (before tax and shipping...any you will also receive the gift pictured below ABSOLUTELY FREE! 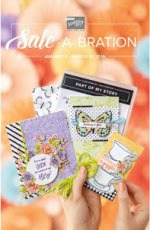 One Darla Daisy for every $50 spent (before tax& shipping). 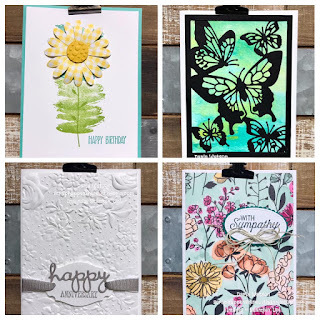 When you have 10 Darla Daisies you can choose $40.00 of Stampin' Up! product(s) of your choice from me! Just email me your choice! The projects we make in my March classes! Here's what were making this month! 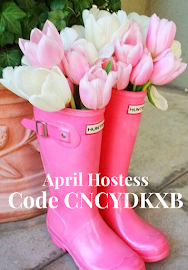 If your order is $150 or more, DO NOT use the code because you will receive hostess credits. 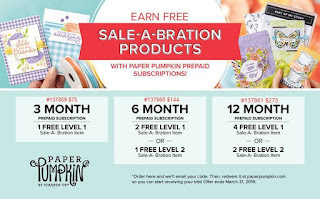 You will get the gift from me FREE automatically along with the projects we make in my March classes! 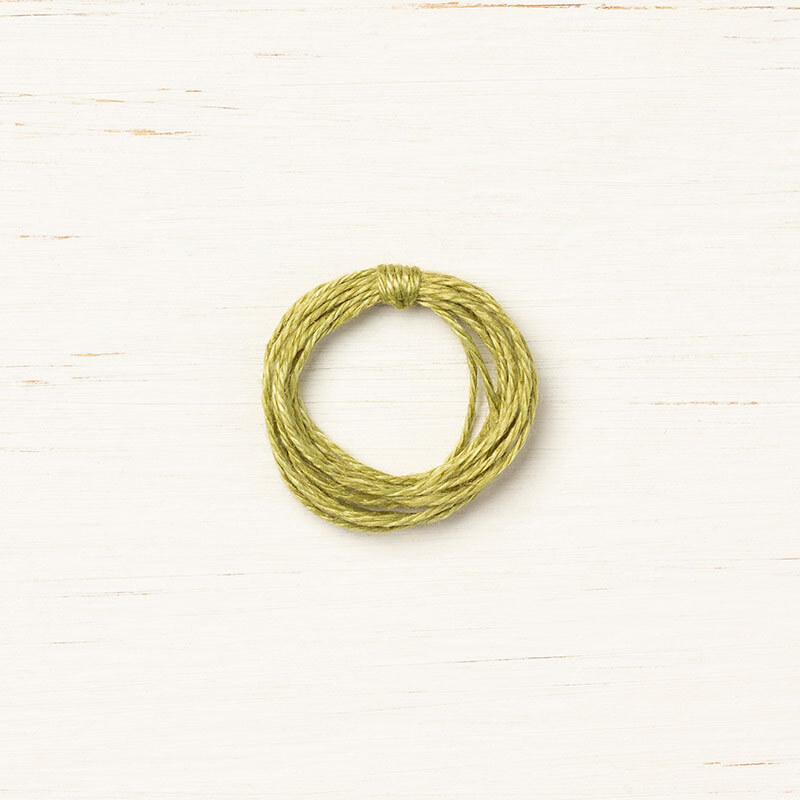 Your FREE gifts will be shipped separately and will be shipped during the 1st week in April! I love your card Darla. The bling is a nice touch. Thank you Renee! The bling was an after thought...but I like it!! Adorable, Darla! Love the pearls! So cute! I love the idea of cutting the inside card in half .Very clever. Lucky 7 year old! Great way to get 2x the cards by cutting the card inserts too! Super cute, love all the texture! Thanks for hopping with us and sharing such an amazing idea! I love your project Darla! All the fun layering is fantastic! Santa and Mrs. Claus - Hello Cupcake FUN!! Share What You Love - Sketch Challenge! Hello Cupcake - Celebrate Your Day!! Bloom By Bloom - Inspired by a SKETCH!